Twitch live game streaming has become super popular in the last year. Becoming a household product thanks to Fortnite and Ninja popularizing the platform. It was popular before the Fortnite explosion, but it is just known now with Ninja’s humble brags on news outlets to how much he is making playing Fortnite on Twitch. Were here to talk about an emerging platform in Facebook Gaming. 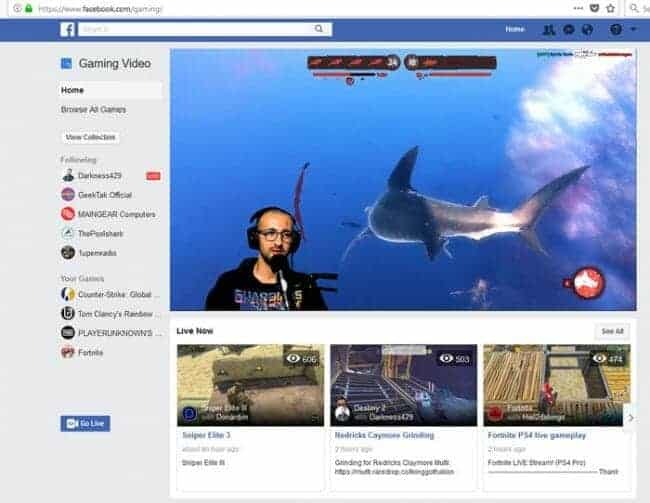 Facebook is only now coming up in the live video game streaming game. But they already dominate the social media landscape. The app comes on all phones by default, and almost everyone you know uses it in one way or another. We all know if Facebook doesn’t buy out a competitor, they somehow devise a plan to crush their competitors. Facebook wants Facebook Gaming to succeed, this means they will be pushing out notifications and live video more frequently to its users. I have noticed this with my stagnant Facebook Page that I only auto post to. It started gaining more likes and views out of nowhere. It is like they turned on a switch so that my current followers could see what is going on, on my page. Fishy as all hell, but knowing it is now time to take advantage of this and start focusing on video and Live Video. So why not use Twitch, YouTube, or Mixer? All those besides Mixer are already really established, and there are tons of people streaming daily on it. Making it very hard to initially stand out, but the reach is very large once you do break out. 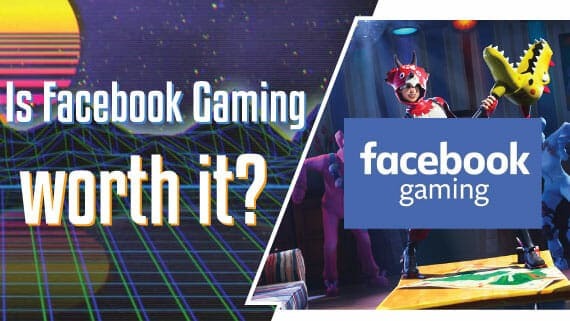 Facebook Gaming is new and fresh, but also has a huge potential reach. Not as many people are taking to the platform yet. So early adoption of the platform makes sense for the long run, which may be very short until its popularity spikes (because Facebook and their marketing genius). That is all my opinion of course, but think about Facebook and what they do. I will personally make more time to stream on Facebook Gaming. It okay so far. The interface is not as streamlined and native like twitch and YouTube. They are working out the kinks though. The just implemented a “Support streamer” button which is essentially subscribe. And you can donate in “Stars” which are kind of like Twitch’s bits. The dashboard is not easily accessible when you start the stream, but I’m sure that will be fixed soon. Their game library is small, so they are probably pushing the play of popular games or just have not fully expanded it yet. They are not anywhere near the final product that is Facebook Gaming, but progression is happening. Soon they will iron out all kinks and make it work well, hopefully. I am also skeptical about growing a Facebook product again as I have been screwed by their Instagram algorithm, and they put some absurd restrictions on my previous growing Geektak fan page. I’m willing to take this risk, because if you can build up an audience that likes you then it won’t matter what platform you are on, they will follow you and find out where you are. Facebook is a powerhouse company. I believe they want to make this work and take their share of the streaming community. Or to maybe overthrow Twitch as streaming king. I think it is a super good idea to get in on ground floor of a Facebook platform as they always manage to do well.